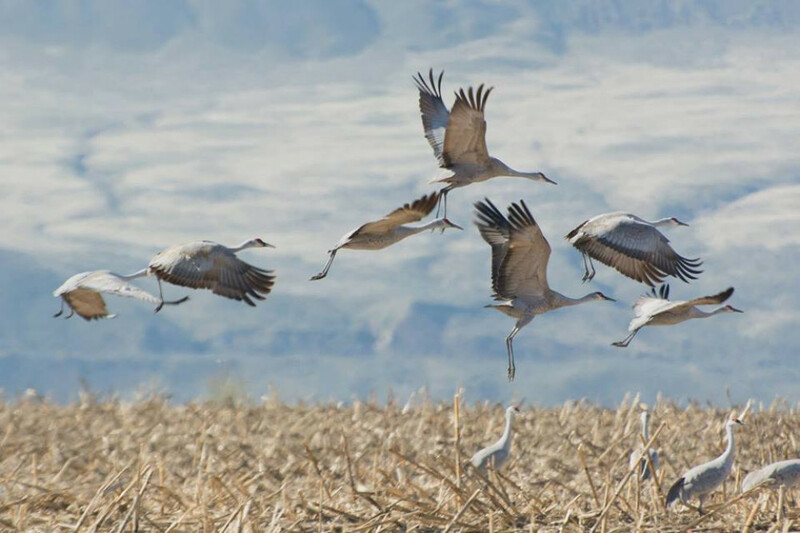 Although Othello is well-known for the spring Sandhill Crane Festival, birders also regularly travel to our area during the fall migration season. Our area is part of the great Pacific Flyway, a king or “interstate” for avian migration. 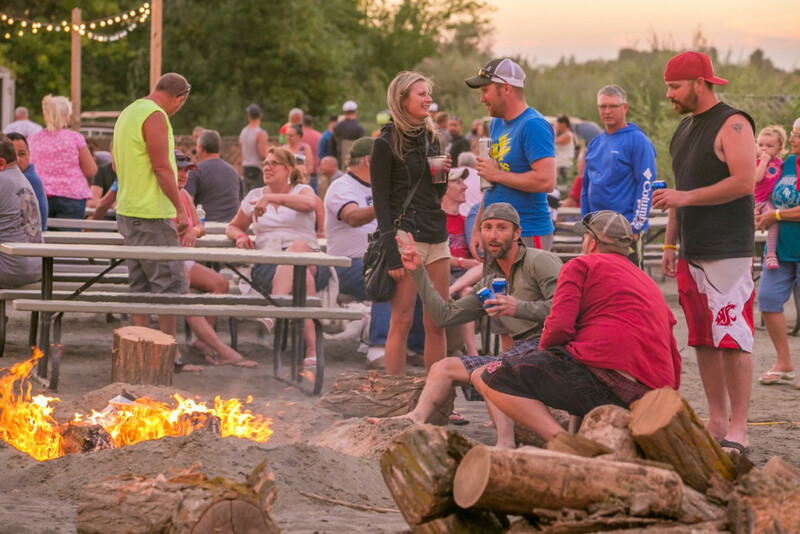 32 different types of mammals and over 200 species of birds have been observed at Columbia National Wildlife Refuge. At the height of the spring and fall migration, biologists have estimated the Refuge is home to up to 100,000 birds. The diversity of wildlife in our area is matched only by the diversity of the crops grown here. 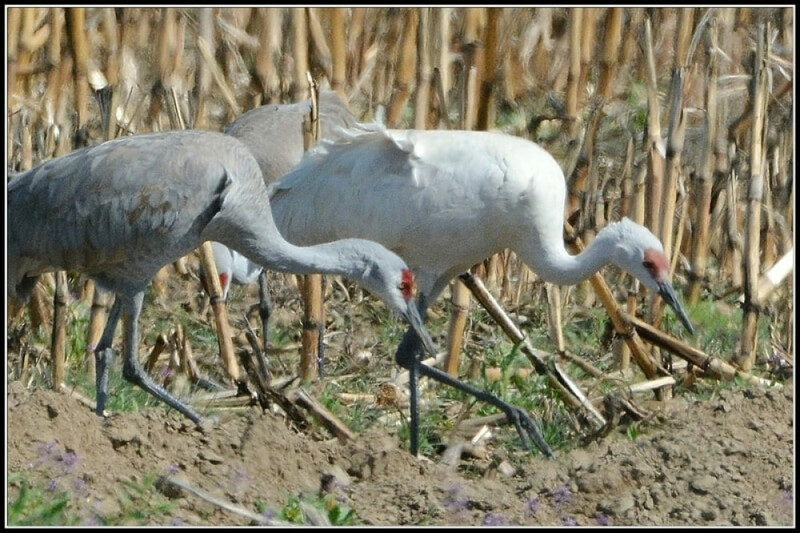 Agriculture is also an important part of avian life in the Basin…Sandhill cranes feast on leftover corn from fall harvest, and other crops grown here provide forage for many other species. Crops like wheat, alfalfa hay, potatoes, apples, spelt, grapes, cherries, melons, peas, onions, peaches, apricots, nectarines, and seed crops like carrot and radish provide “leftovers” for many mammals and avian in our area. 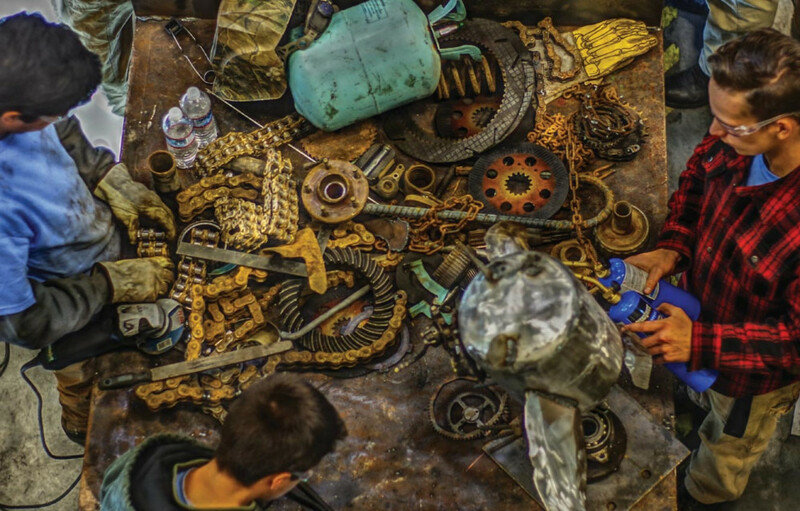 Nearly 800 acres of cropland are planted specifically as part of a program designed to maintain healthy waterfowl and crane populations. 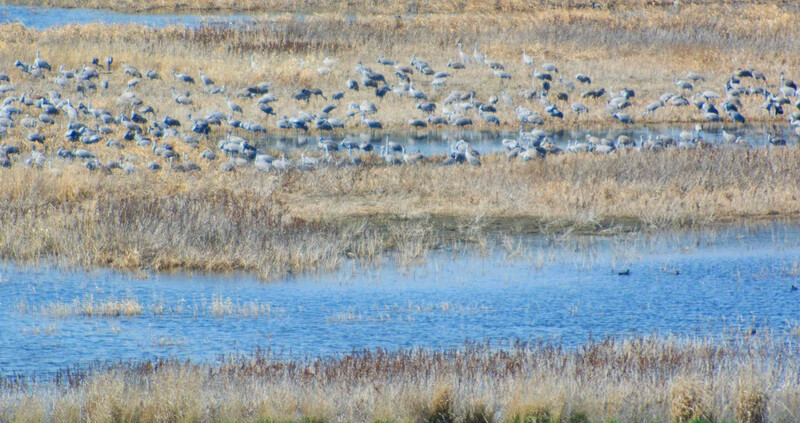 According to Columbia National Wildlife Refuge, during fall and especially in March and April, refuge fields near Corfu, Road E SE, and Barton Road attract up to 60,000 mallards, 20,000 northern pintails, 15,000 Sandhill cranes, and 50,000 Canada and cackling geese. 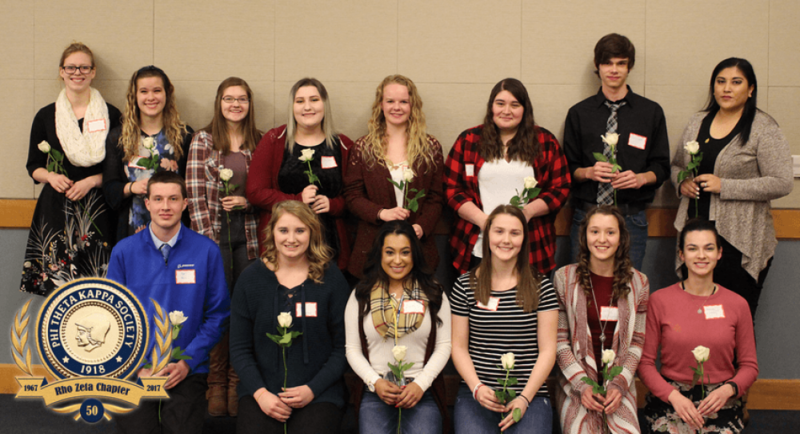 The delicate balance of nature and agriculture is an important one for our area, and the issue is one local farmers take very seriously. It's a bird....it's a CRANE! 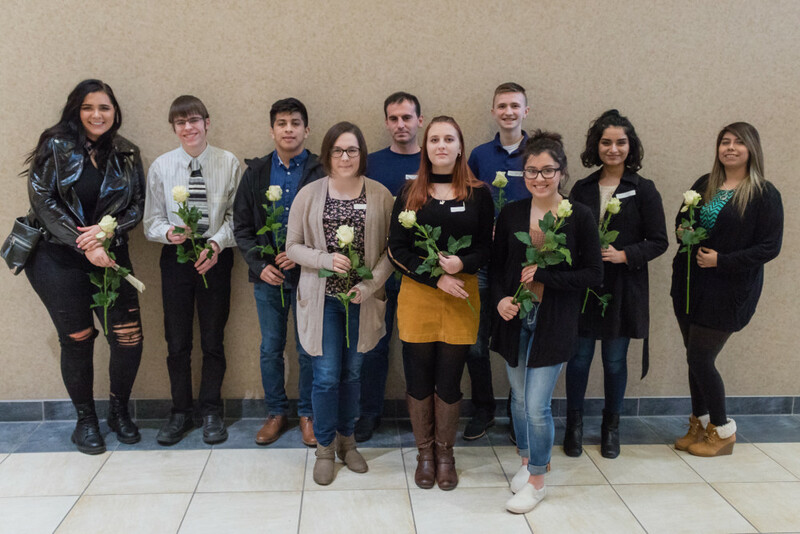 Ten Big Bend Community College students have officially become members of the Phi Theta Kappa International Honor Society following the organization’s winter induction ceremony Tuesday evening. "Elegant Travelers on a Journey"
Skagen Jet Boat Weekend beginning Friday, September 7th and goes thru the weekend. 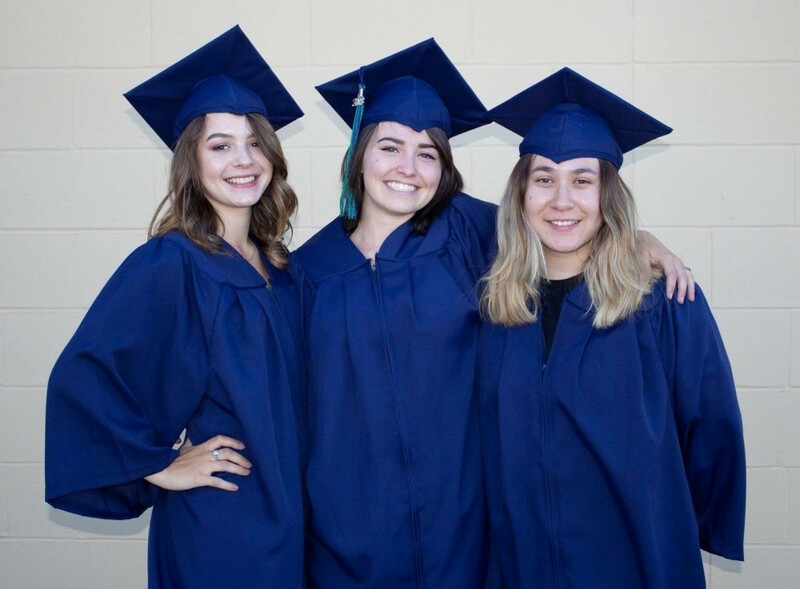 Big Bend Community College (BBCC) celebrated new beginnings last week along with 129 students and their families who received their General Equivalency Diploma (GED®) or High School Equivalency at a celebration ceremony. 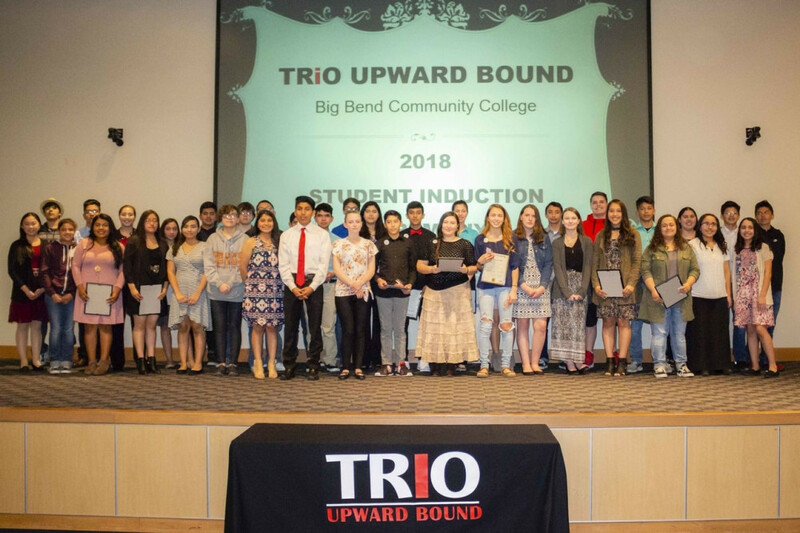 ­­Forty high school students from Grant and Adams counties were formally welcomed into Big Bend Community College’s TRiO Upward Bound Program Tuesday night.